In a collection of urgent and intimate poems, D. Nurkse explores the biblical past and the terrifying politics of the present with which it resonates, the legacy of fathers and the flawed kingdoms they leave their sons. 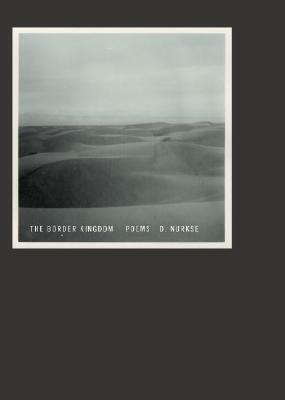 A poet of unique force and sensitivity, Nurkse refuses to pass over the marginal characters and corners of the world, attuned to the scraps of beauty or insight they might offer up in the midst of moral darkness. In The Border Kingdom he has given us an exceptionally powerful collection of poems—unfailingly rich in imagery, undaunted in subject and spirit. looks down with burning eyes. D. Nurkse is the author of eight previous books of poetry. He has received a Guggenheim Fellowship, the Whiting Writers’ Award, two National Endowment for the Arts fellowships, two grants from the New York Foundation for the Arts, a Tanne Foundation award, and two awards from Poetry magazine. He has also written widely on human rights. He teaches at Sarah Lawrence College and lives in Brooklyn.